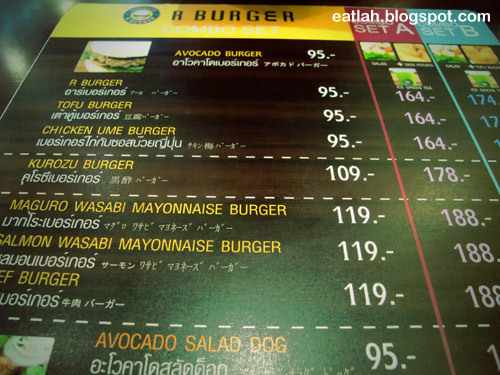 R Burger @ Suvarnabhumi Airport, Bangkok | where and what to eat lah? 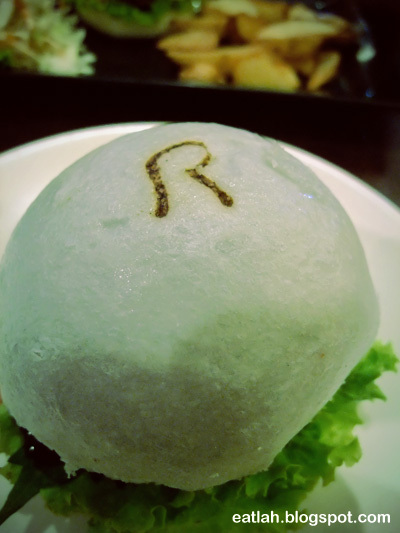 R Burger or Revolution Burger is a Japanese concept founded on the premise that burgers can be made healthier, tastier and consumed differently. 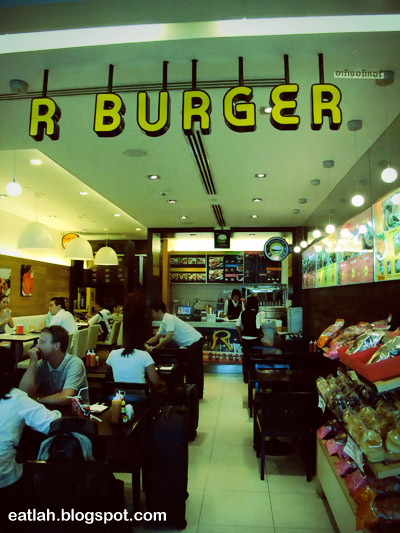 With health being the main concept of R Burger, this trendy new burger chain originated from Japan only has 2 outlets (Roppongi, Prantan Ginza) in Tokyo, 2 branches (Siam Square, Suvarnabhumi Airport) in Bangkok and 1 outlet (Ion Orchard) in Singapore. R Burger's flavors combinations are adventurous - like the chicken burger with shiso leaf and ume dressing, maguro burger with wasabi mayonnaise, Japanese cucumber and shiso leaf, pork burgers with miso sauce and Chinese black vinegar sauce. 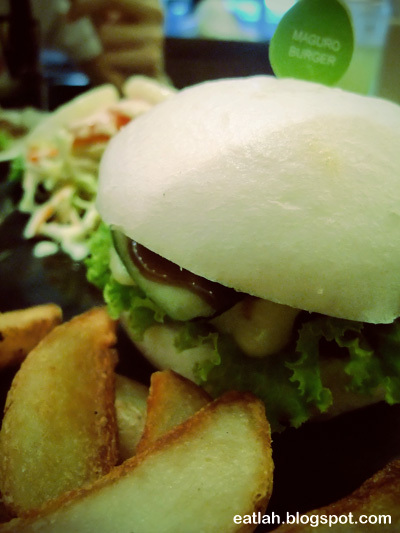 R Burger's buns are substituted with Chinese styled white fluffy steamed buns (baos). It was fluffier, softer and a whiff sweeter than the ordinary burger buns. 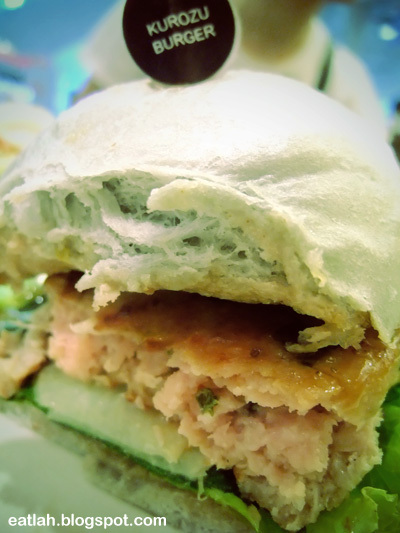 Another distinctive feature of R Burger is the use of marine collagen as part of its ingredients. While not at all uncommon in Japan, R Burger remains the first burger café to put collagen (1000mg/burger) in their buns. Marine collage helps to stimulate collagen production in our body that encourages skin renewal and reduces the appearance of deep wrinkles and fine lines. Might be a good place to start frequenting to stay young! Kurozu burger (THB 109 / RM 11.30), served with juicy imported Japanese pork patty glazed with a healthy Chinese black vinegar base sauce sandwiched between darkish steamed buns made from Japanese bamboo carbon, with fresh Japanese shiso leaf, lettuces and cucumbers. A perfect marriage of Chinese and Japanese tastes! 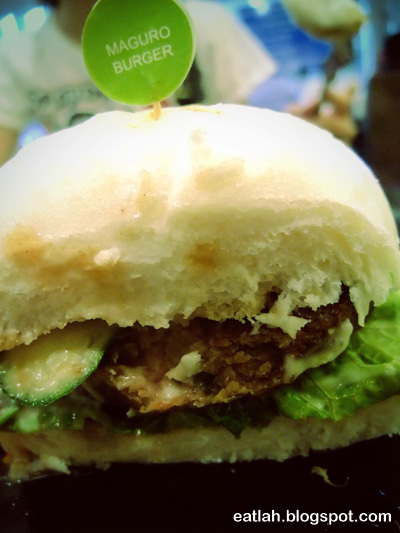 Despite picking any taste from the black vinegar and carbon steamed buns, it was still worthwhile, the pork meat patty was juicy, succulent and tasty! Maguro wasabi mayonnaise burger set served with salad, fried potato wedges with skin and ice green tea (THB 188 / RM 19.60). Lots of tuna's healthy benefits rich in omega-3 DHA fatty acid which is helpful for brain and vision developments. This was fantastically different from the usual burgers with a zing of wasabi mayonnaise! 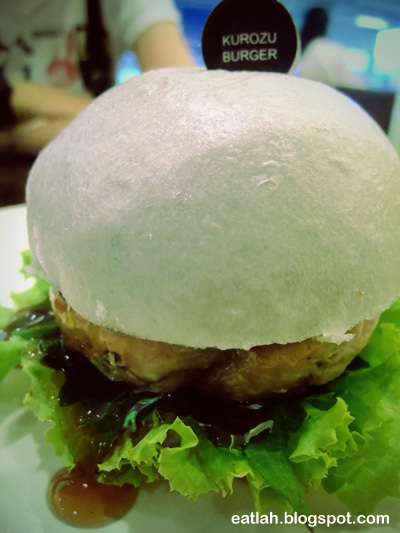 Verdict: A revolutionary burger with Chinese steamed white buns bursting with youthful collagen. Not something you see everyday, definitely a must-try! Business Hours: Opens daily 24 hours.